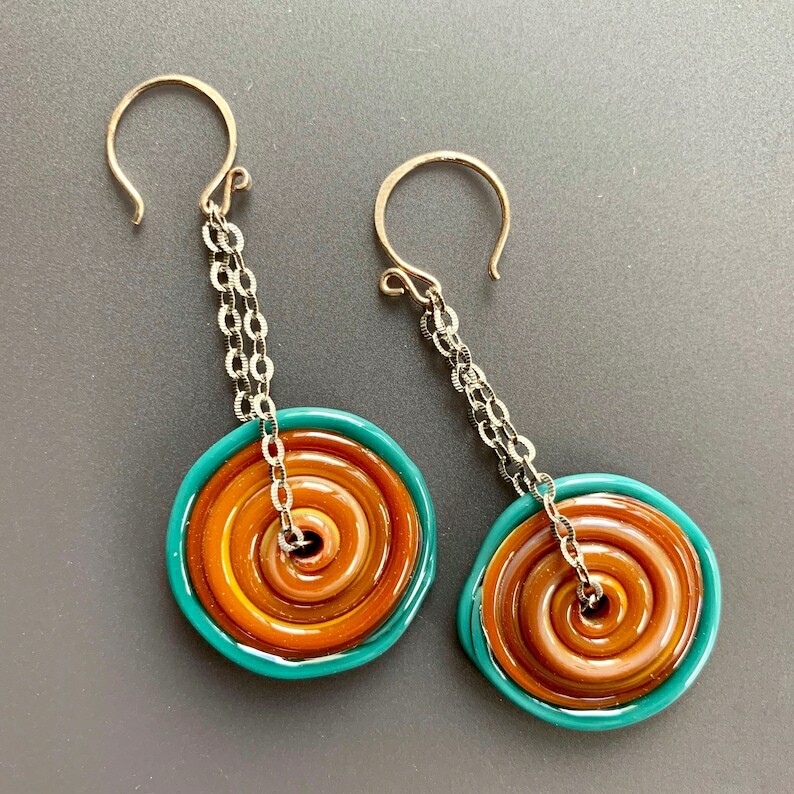 These colorful caramel and aqua glass discs dangle from oxidized sterling silver etched link chain and sterling silver fishhook earwires. Super lightweight and comfortable for those of us who can’t tolerate heavy earrings yet appreciate a long earring that really shows. Measures a total of just under 2.5 inches with a drop of 1-7/8 inches. The glass discs are 1-1/16 inch wide.